Chinese New Year is here again! This year, due to my filming and traveling schedule, I haven’t been able to make as many treats for CNY. But I did manage to make a few kueh lapis (thousand-layer cake), some bak kwa (Asian-style pork jerky), bak kwa cookies, cornflake cookies and pineapple tarts. And…. I also made my first instructional cooking video on how to make bak kwa so pls check that out! 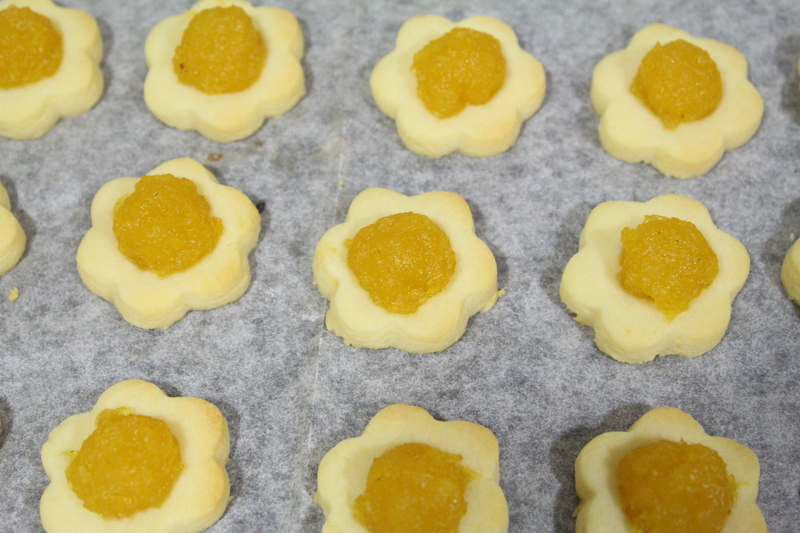 I usually don’t make my own pineapple tarts, cos it’s a lot of work for a very small tart. But this year I bought pineapples to make my own because I wanted to make some sugar-free and gluten-free ones for my father-in-law who with his dietary constraints, has pretty much nothing to eat this CNY. They turned out really soft and I had to refrigerate them to firm them up. Guess with the lack of gluten to hold it together, the pastry fell apart too easily. But this traditional recipe on the other hand, is a winner in my books. I was searching for a new recipe to experiment and came across this one which contains condensed milk. Anything with condensed milk gets my vote, so I decided to try it out. The pastry is buttery and melts in your mouth. My hubby thinks it is too crumbly but I beg to differ. I love the way the pastry disintegrates on my tongue like powdered butter. I also intentionally used less sugar in the pineapple filling so it is not overly sweet like those you buy off the shelves. 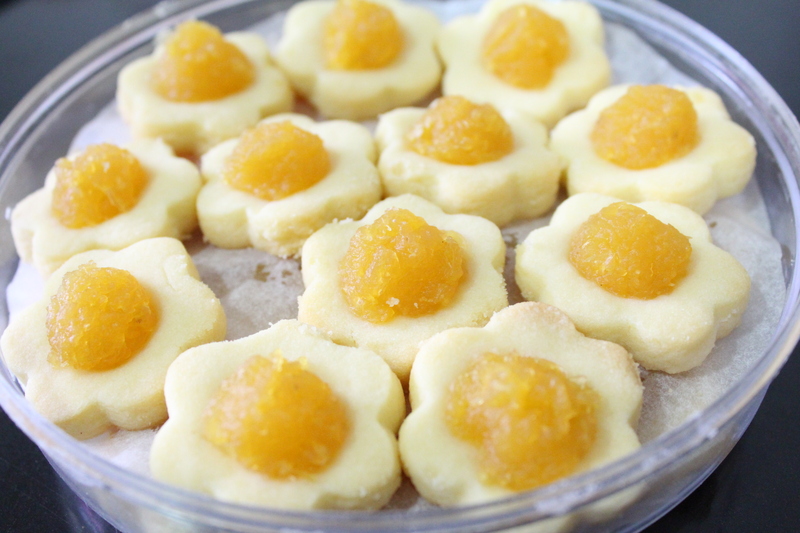 If you prefer the closed pineapple tarts, you could flatten the dough and wrap it around a small ball of pineapple filling. Brush the tops with egg wash, sprinkle some cheese (optional), and you’re good to go! Have a blessed and happy Lunar new year! 1. 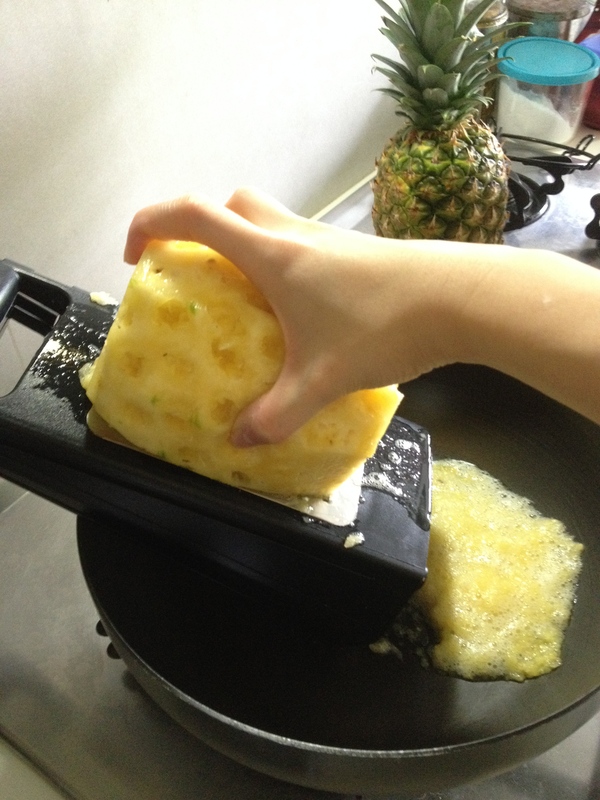 Grate pineapples into a medium pot. 2. Add sugar and bring to a boil over medium heat. 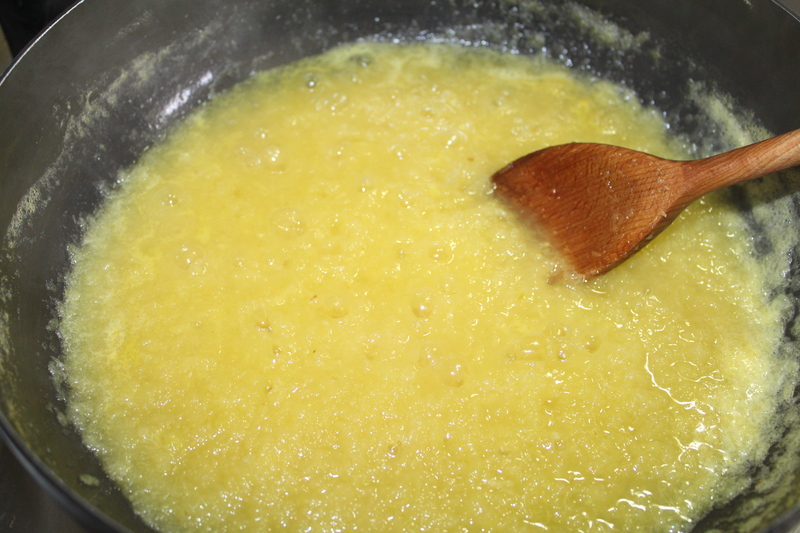 Stir constantly to avoid burning. 3. When most of the liquid has evaporated and pineapples have become fairly dry, remove from heat and let it cool completely. 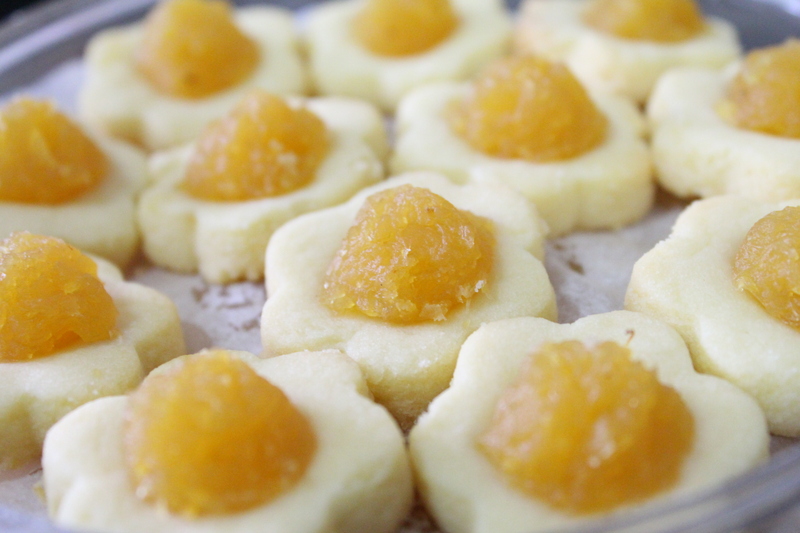 Note: The pineapple jam should be fairly dry for closed pineapple tarts. For open-style tarts, they can be slightly wetter. 3. Mix in flour, and mix until you get a soft but not sticky dough. 1. 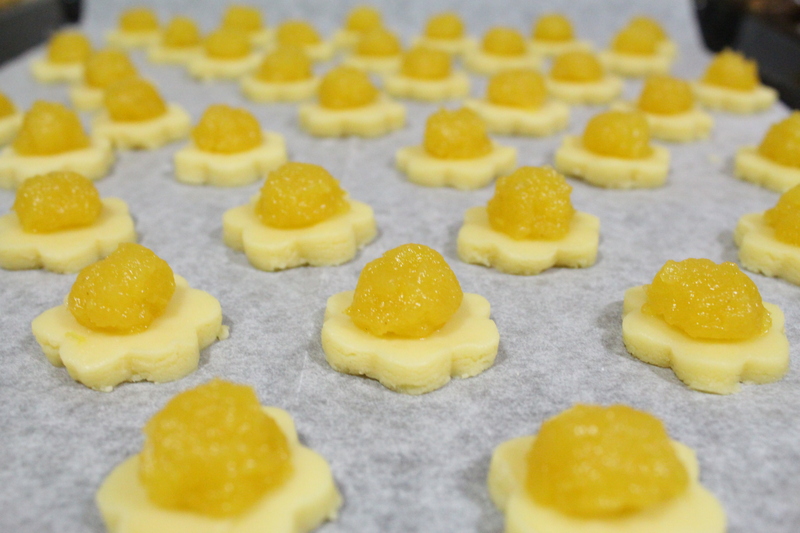 Roll pineapple filling into small balls. 2. Roll out pastry on a lightly floured surface until it is about 5mm thick. Use a cutter to cut into desired shape. 3. Place one ball of pineapple filling on top of the pastry. 4. Bake in a preheated oven at 180C/350F for 8-10 minutes or until it is slightly coloured. 5. Remove from oven and cool. Store in airtight containers and enjoy! Tags: asian, chinese new year, closed, condensed milk, crumbly, dough, fait maison, faitmaisonblog, from scratch, goodies, homemade, how to, less sugar, less sweet, melt in your mouth, open style, pineapple, pineapple tart, recipe, singapore. Bookmark the permalink. Looks incredibly yummy – will try to make them! May i know what is the brand of the butter you are using?